Edward Bridge "Ted" Danson III (born December 29, 1947) is an American actor, author, and producer, best known for his role as Sam Malone in Cheers. He reprised the role of Sam Malone in the season 6 episode "Fear of Flying". 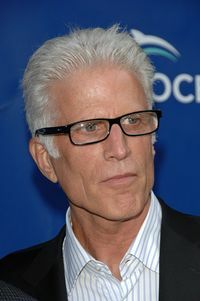 Ted Danson was voted joint 20th in IGN's "Top 25 Simpsons Guest Appearances" along with Cheers co-stars Woody Harrelson, Rhea Perlman, George Wendt, and John Ratzenberger. Modified on September 12, 2014, at 09:56.